He also invoked the popular quote “Behind every successful man, there is a woman”, suggesting that behind a successful man's fall also is a woman. 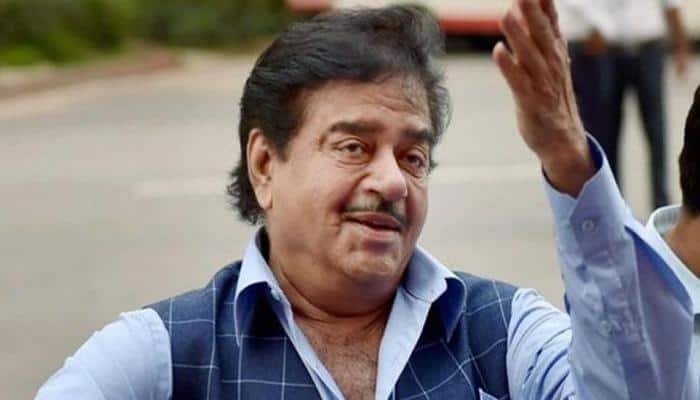 Mumbai: Veteran actor-politician Shatrughan Sinha on Wednesday said that he is fortunate that his name has not come out in the #MeToo movement despite everything that he has done. “I really call myself fortunate that in today’s times, tamam harkate karne kay bawajood (despite everything that I’ve done), my name hasn’t come out in the #MeToo movement. Hence, I listen to my wife and often take her as a shield with me so that even if there’s nothing, I can show, ‘I am happily married, my life is good,” Sinha said at the launch of the book “A Touch of Evil” by author Dhruv Somani in Mumbai. Sinha said his wife, Poonam, is a “goddess” and his “everything”. “Even if anyone wants to say anything about me, please don’t say,” he added.